Gold-tone stainless steel case. 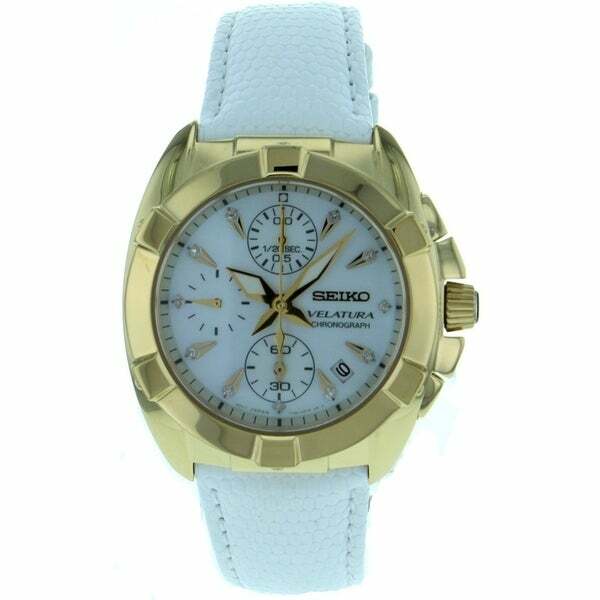 White leather strap. White dial. Date display. Chronograph. Quartz movement. Hardlex crystal. Water resistant 100 meters. Case 35mm diameter by 10mm thick.